End the month with a bang! (SPOT.ph) We're just a few days away from ending the month (and the entire first quarter of the year—can you believe it?!). End it with a bang by treating yourself to a well-deserved shopping spree. 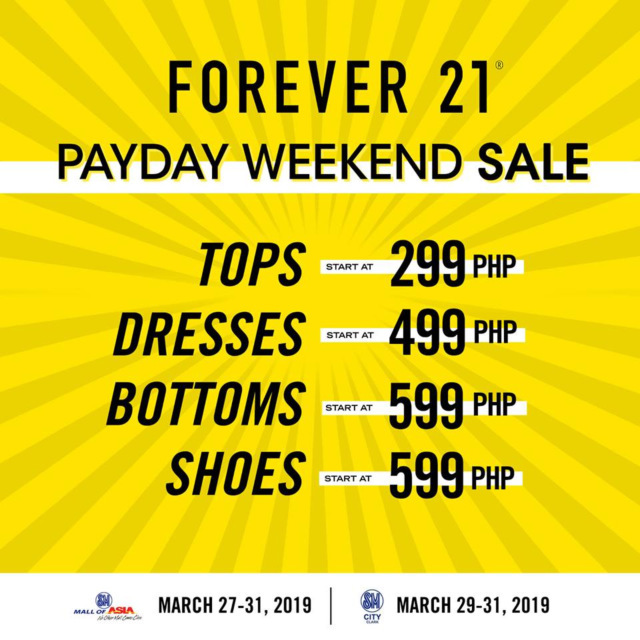 And we know where you can go to get the most bang for your buck: Forever 21 is having a Payday Weekend Sale until March 31! 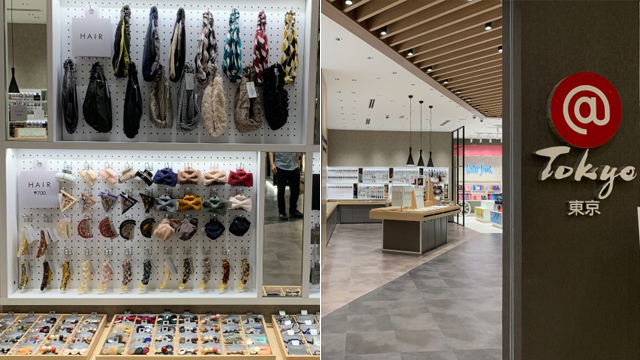 Ready your wallets (and make space in your closets) because it's the perfect time to beef up your summer wardrobe this weekend. 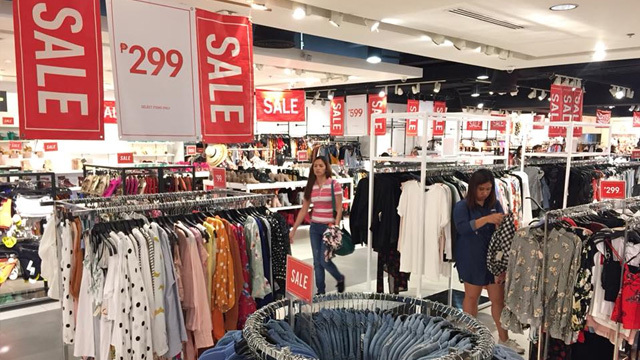 Score tops for as low as P299, dresses for P499, and bottoms and shoes for P599 when you drop by Forever 21 branches in SM Mall of Asia or SM City Clark—perfect for those planning a road trip to the south! 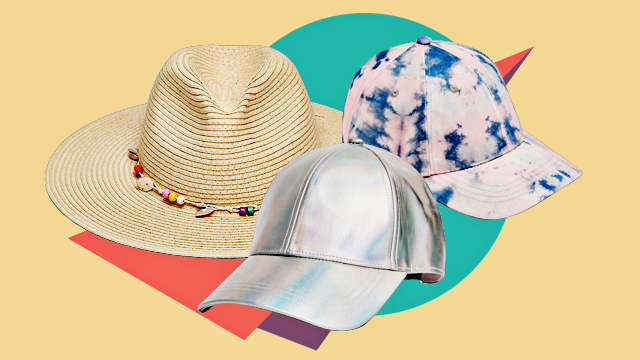 You've got until March 31 to shop but we suggest going ASAP to score the coolest pieces.